The Royal College of General Practitioners (RCGP) has revoked an honour given to the Sultan of Brunei following draconian anti-gay laws being introduced in the country. A unanimous vote to withdraw the Sultan’s honour took place during a meeting of the College’s Trustee Board on April 17. Professor Nigel Mathers, Chair of the Trustee Board, said: “The fact that we convened an extraordinary meeting of Trustees shows how seriously the College is taking this issue. College Chair, Prof Helen Stokes-Lampard, wrote to the Sultan of Brunei last week, urging him to reverse the laws that carry penalties including stoning and flogging to death on the grounds of sexuality. The university confirmed the step after the Sultan imposed the new penal code which introduces the death penalty for homosexual acts. 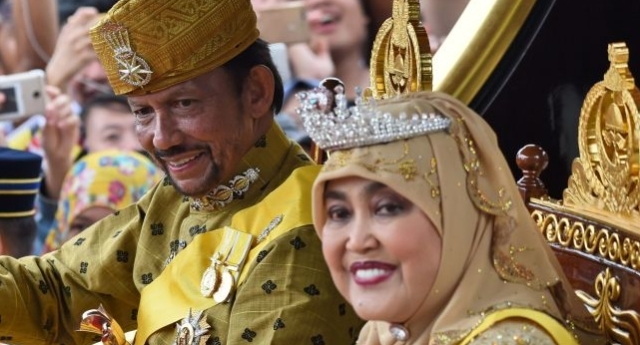 Other UK universities have faced pressure to rescind honours lavished upon the Sultan of Brunei, who is an unelected dictator. King’s College London and the University of Oxford have both also said they will review honoary degrees given to the Commonwealth country’s leader. “We will reconsider this decision throughout established process in light of the information now available,” read a statement from the University of Oxford.